High-quality content marketing is crucial to business success. The content your business produces and shares online attracts the attention of potential clients, generates leads and interest in your business, and – most importantly – represents what your business does and why it’s important. So you can see why over the last year, 76% of marketers have increased their content marketing budgets to allow for more focus on content creation. With this increase in budget comes the need for more content, which might put stress on your team. Writing a lot of high-quality content is time consuming, takes a lot of effort, and requires talented and experienced writers. If your content needs have outgrown the capabilities and capacity of your marketing team, it might be time to outsource content writing. But how do you know when it’s time to make that call? Here are a few questions to ask when trying to determine if outsourcing your content marketing is the right move for your business. 1: Can You Afford to Outsource Content Writing and/or Content Marketing? Working out how to outsource content writing into your budget can be intimidating, but its likely to be a more cost-effective option than hiring an in-house content team to do the work. Hiring in-house means you need to fill multiple positions to get the job done. You need at least one writer, an editor, and a social media or distribution strategist, to name a few. Filling those positions individually can become costly, whereas when you outsource content writing, a content marketing firm comes with all of those positions in one – usually at a set rate. Between the time investment of managing all of these new positions and the cost of paying for their training, an in-house team could be less cost-effective. On the other hand, outsourcing to an agency can be an expensive option because you’re paying for a team of experienced content producers, and that variety and expertise comes at a cost. For some smaller businesses with a less-than-hefty marketing budget, hiring an agency may not be the most cost-effective option. When deciding whether to outsource or not, it’s important to sit down and bust open the books to see if making the leap is a wise financial investment for your business. If you just don’t have the budget for it yet, that’s perfectly fine. Set a goal to increase your budget in the coming year and work towards being able to afford a great content team, whether in-house or outsourced. Either way, producing high-quality content is always a great investment for your business. 2: What is Your Current Team Capable Of? Perhaps one of the most important questions to ask when deciding whether to outsource content writing is: What are you already capable of doing? Great content marketing isn’t limited to just running a blog and a social media account. 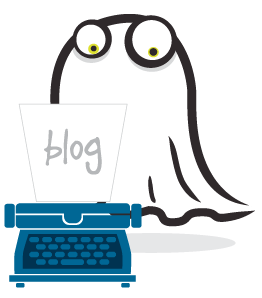 Chances are, if you only have one writer churning out one or two blog posts per week, you aren’t creating enough content to get the visibility you want or need. A strong content marketing strategy includes a variety of content types – from blog posts to case studies, whitepapers, e-books, infographics, and more. It’s quite possible that your writers just don’t have the breadth of expertise needed to create stellar, web-optimized content designed to grow your business. This is when outsourcing is a winning solution. Even if you choose to only outsource blog writing, it’s still a win in the content game. Content marketing agencies are built to cover all aspects of the content creation process, from quality writing to search engine optimization to distribution strategy. And not only do content marketing agencies know how to create great content, they know how to look at your business strategy and work with you to determine your extent content needs and how to satisfy them. Your current staff may not be able to handle their current workload and cover all the bases, while still producing effective content. Hiring a one-stop content shop means you’re spending less time fretting over how to produce quality content, and more time running your business. 3: Is Content Marketing A High Priority? If the answer is no, you should probably change your answer. Content marketing is essential to the process of growing your business. As we mentioned before, the content you put out into the world is a direct reflection on your business, so it’s incredibly important you invest time (and money – that always helps) into your marketing efforts. However, the reality is that, as a business owner, you probably have a million other things you need to be doing. Why waste time learning how to create effective content from scratch? Hire an experienced content marketing team to help with your content marketing strategy and content writing needs. Marketing is a huge step in creating the perfect sales funnel. Your marketing efforts directly reflect on your lead generation and conversion rates. Outsourcing your content marketing gives you a chance to create content that resonates with your customer base. Now, I know what you’re thinking. No one knows your business better than you, right? While that might be the case, working with a content marketing agency with a team of freelance writers opens the gates to a large pool of writers with a vast breadth of expertise, so you’re going to be able to find someone who can reach your target audience effectively. 4: Do You Have Time To Manage Content Creation? If you’re thinking its time to outsource content writing responsibilities, you probably want to know what time commitment is required to do so. Luckily for you, the whole point of outsourcing is to give someone else the work you and your team don’t have time to do, which means outsourcing generally comes with a lower time commitment on your end. 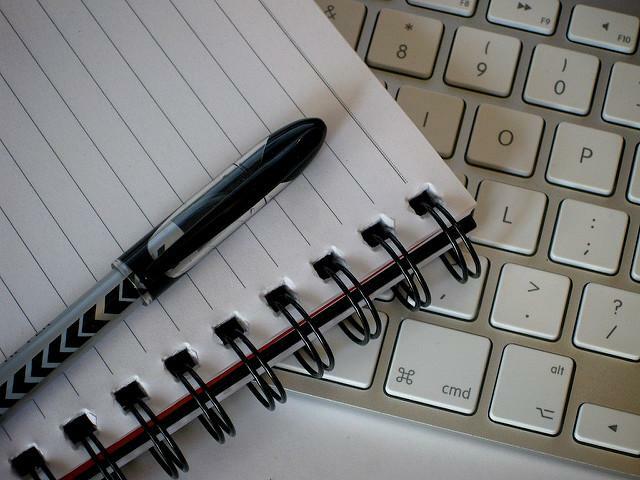 You have the option to outsource to an agency or to freelance writers. Both have their advantages and disadvantages, depending on the specific needs of your company. As we’ve talked about earlier, agencies charge for an all-in-one package, which can get expensive. Freelance writers can be the cheaper option because you’re not paying for overhead costs of an agency. However, you get what you pay for. Freelancers often charge by the word or by the hour. It may be easy to on-board a handful of freelance writers, but how do you know they’ll be any good? Plus, you won’t experience the benefits of a full-service agency. Freelancers also require more management, because they’ll be working directly with you and not from an agency point-of-contact. A content writing agency (like ours, *ahem*) does all the grunt work for you. They already have the researchers, writers, editors, and SEO experts on hand. All you need to do is work with the agency to determine what your content needs and goals are, and they’ll do the rest of the work. Aside from regular check-ins, approvals and reporting, working with an agency means your time commitment to the content creation process is much less, allowing you to focus on other aspects of your business. When deciding whether to outsource content writing or keep content creation in-house, it all comes down to the needs and goals of your business. If content marketing isn’t a huge priority for your business yet, then it probably won’t be worth the investment to outsource your marketing needs. If your content needs surpass your staff’s capabilities and you’re ready to get your content marketing strategy going (finally! ), then outsourcing your content marketing could be the answer to your problems. If you’re ready to get started and tired of unsuccessful attempts at content marketing, outsourcing your content marketing is likely the way to go! It’s an investment in the growth of your business, so don’t wait. Before you make the decision to outsource, hire internally, or stay with your current content marketing plan, be sure you’re pinpointing exactly what your content marketing goals are and assessing all of your options equally. Understanding what you want your content to DO is the first step in deciding how to create the best marketing strategy for your business. How does your team manage your content needs? What are your biggest concerns about outsourcing content writing or content marketing? How do you feel about the recent “flowing water on Mars” discovery? Contact Posts By Ghost or leave a comment below! Featured image: “Writing Tools” by peteoshea is licensed under CC BY 2.0. 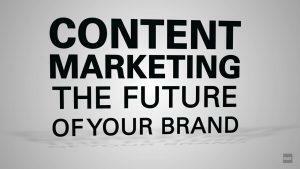 Post image: Still from Vimeo video “Content-Marketing – The Future of Your Brand” by Vimeo user B&B. Markenagentur licensed for use under CC by 3.0.